Serving early-stage companies the right way is really hard. Lawyers can be expensive and entrepreneurs need a lot of help – they need sophisticated advice, hands-on guidance and complex documentation – all at low cost. At Shoobx, we’ve built a technology solution that empowers Entrepreneurs, and provides law firms the tools they need to effectively manage this unique client base. 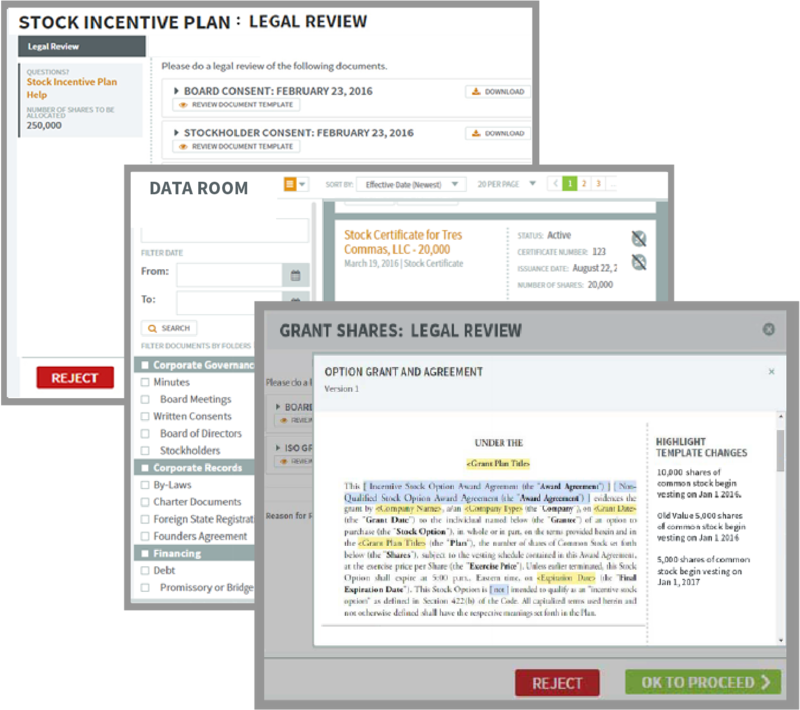 We can generate and execute legal documents via our platform as well as drive cap tables and administer Stock Incentive Plans (all leveraging your content). Entrepreneurs love us, and we think you will too. Shoobx is smart, intelligent, and insanely fast… but it’s not a lawyer. Companies need lawyers that can provide high-value advice. We facilitate the best client – lawyer relationship possible. As an attorney, you define how you work with your client on Shoobx. You are integrated into the company’s workflows. Shoobx automates much of the repetitive work a law firm may provide a company so counsel can focus on providing high-value advice. 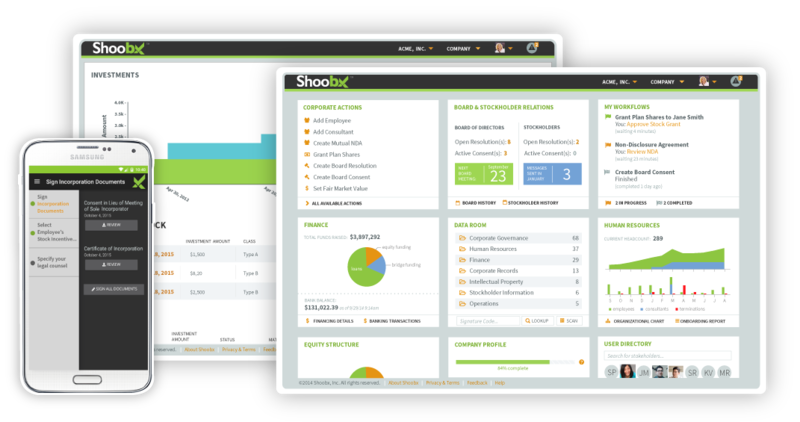 With Shoobx, attorneys and firms can manage a large client portfolio through a single portal. Easily jump from one company to the next. "The diligence process in any financing (big or small) is time-consuming and expensive. Shoobx has been a great tool to help us streamline those activities so our information is always up-to-date and easily accessible to those who need it."